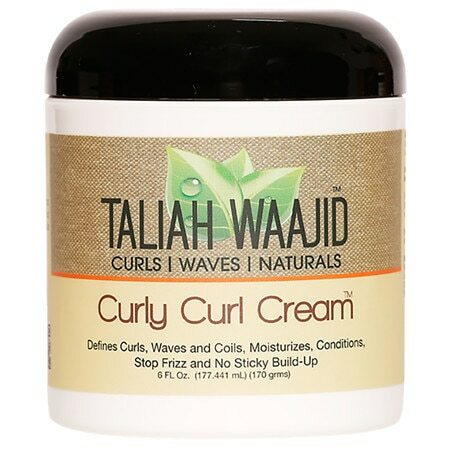 The first item that I’m going to be raving about is the Curly Curl Cream by Taliah Waajid. If you’re thinking about installing mini-twists this is a must! This curl cream is unlike any others I’ve used mainly due to its super thick consistency. (If you turn the jar upside down the product is going nowhere, it’s THICK) It coats my strands and defines the curls at the end of my twist without building up or weighed down and greasy. It also holds my twists in place and keeps them from frizzing up throughout the weeks of them being installed. This is going to my holy grail twisting creme as I continue to redo mini twist about every 4-6 weeks. Ingredients: Deionized Water (Aqua), PEG-75 Shea Butter, Sage Extract, (Butyrospermum Parkii) DMDM Hydantoin, Vegetable Glycerin, Burdoc Protein, Sodium Polyacrylate, Ethylhexyl Trideceth-6 Fragrance (Parfum). 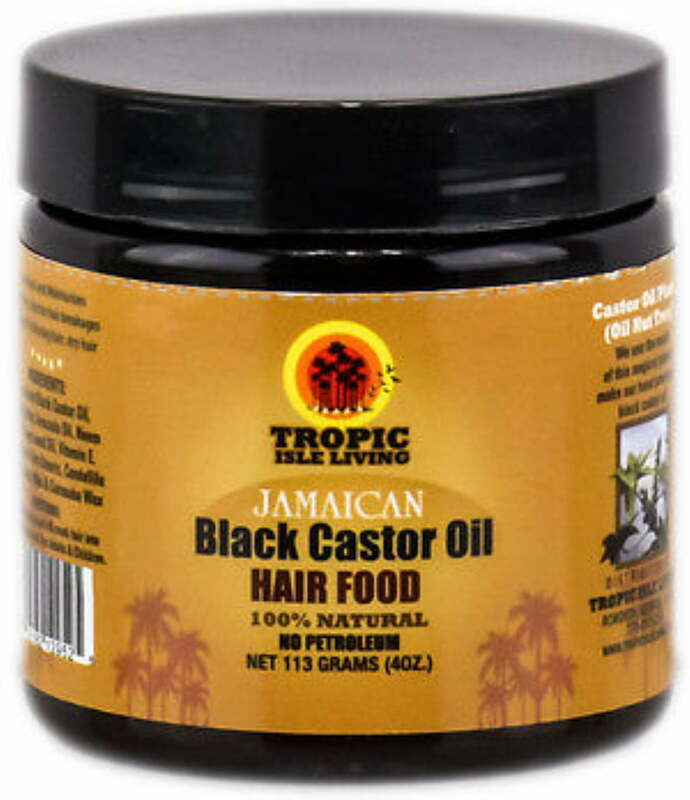 The second product I’ve constantly been reaching for is the Tropic Isle Living Black Castor Oil Hair Food. This product is one I recently order online at Walmart and I actually didn’t mean to order this particular item (I was meaning to order the Protein Deep Conditioner by Tropic Isle ) but I decided to give it a shot anyway because Tropic Isle Living seems to have pretty great natural hair products which are right up my alley. The ingredients are amazing and I can instantly feel the moisture from my Taliah Waajid Curly Curl Cream being locked in once I place the Hair Food on top. The consistency is very thick and waxy due to the amount of Shea Butter in the product. You do not need to go overboard with this sealer, a little goes a very long way so remember that as you are twisting. My hair stays moisturized for weeks with this duo working together and in the sunlight, my hair just looks so shiny and healthy. I was really impressed that my hair never felt oily or greasy after using this product, and I love that there’s no yucky petroleum! Have you guys ever tried mini-twisting your hair? What were your experiences? Let’s chat in the comments down below! Love the Taliah Waajid curly curl cream! Awesome post!